1 Have a plan: Below is a picture of how we mapped out TV and speaker placement. It’s cliche’ but true: measure twice and cut once. 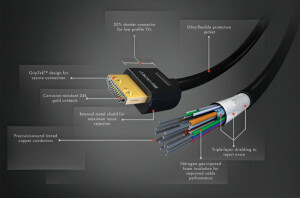 2 Have a cable and wiring plan: Most modern TVs, surround and audio systems have more cables than you think. In the picture below there are multiple cables going from the TV area to the future AV rack on the right. Cables used in this setup: (2) 25′ HDMI cables form TV to AV cabinet. You need 2 in case one goes bad. (3) Cat-5 Cat-5 serves many purposes- direct internet access, control with remotes and HDMI baluns. (2) Coaxial cable. Coax is used for antenna into the TV or various cable box requirements. (1) Optical Audio. Optical takes all TV sounds and sends to AV cabinet AV receiver. (5) 14/2 speaker wire- This is used for the 5.1 surround system installed in the walls of the room. Another cable we could have wired here but didn’t for space considerations was a line of 12/2 Romex AC cable. This would be used to plug the TV into the master surge protector at the AV cabinet. 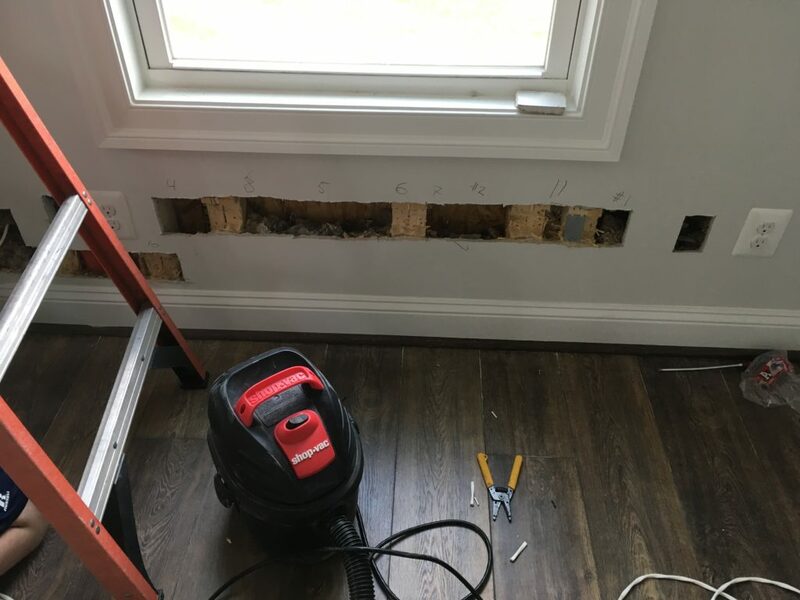 4 Cutting through wooden studs is also labor intensive. AVS uses jigsaws, sawsall or paddle bits on a drill to cut out studs. In the photo below you can see that we only cut 1/2 way into the stud. It’s not a good idea to cut all the way through ANY stud. This weakens the integrity of the wall or area you’re working on. 7 Drywall and paint repair cost- This job was @ $1300.00 for the whole thing. (There were several other locations not shown in this post that also needed work.) Most drywall repair requires several visits, for drywall, spackling mud and paint to adhere, dry and set. This takes time- and labor and cost. Expect to pay anywhere from $500 to $2000 for professional drywall repair. Most guys will give you a quote before doing the work. We sent the images shown here to our drywall repair professional and he sent us a quote in a few days. 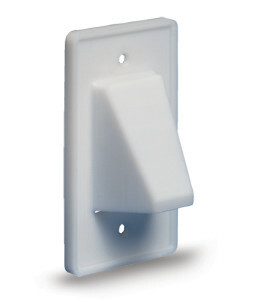 Safety: Mounting and Electrical Safety is the the number one priority when hanging/installing a TV. Hanging Safety: Today’s TVs are super light so it has become easier and safer (in general) to hang most TVs. The light weight means that there’s a larger margin for error (if you do it yourself) relative to mounts, studs, bolts, screws and latches. We recommend of course you just hire AVS because AVS tolerates 0-zero margin of error even with these new light TVs. Here’s what it takes: 1. A professional tilt, flush or articulating arm Mount (We use STRONG ™ mounts) 2. Professional weight tolerant bolts/screws (like tapcons) 3. Proper stud (wood or metal) location, drilling and mounting. AVS likes to get a solid tight grip with at least 6 to eight bolts/screws into the studs or rock or brick for flush or tilt mounts. Even more for Articulating arm mounts. Is it pretty? 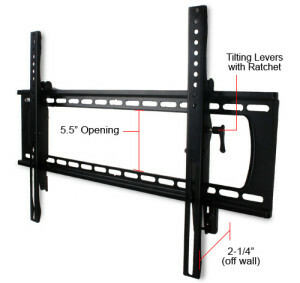 A few more tips: Make sure to use a level when mounting the TV. Make sure you measure for horizontal and vertical distances- dependent upon how and where you want the TV to be located. Use pencil when marking on walls and have an eraser nearby to get rid of any extra marks. 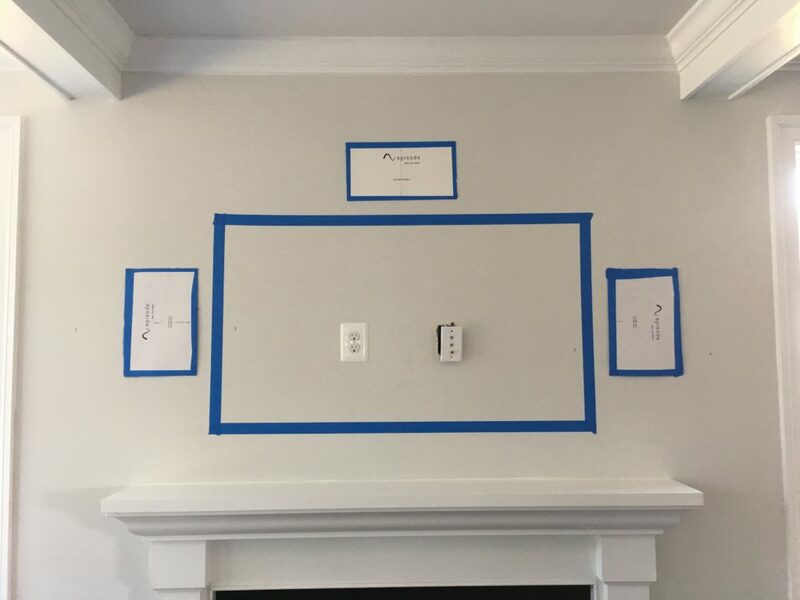 Use blue painters tape to mark off where you want the TV- to see if it works, before you do anything. Have a vacuum nearby. Place a painters drop cloth or furniture blanket below the work area. have all your tools on the blanket. AVS hopes this helps you to get a better understanding of how to install a flat panel TV. It’s not brain surgery but it does take a little time, effort and patience. AND- we can do all of it for you. Please call or email us ! We’ll happily answer any questions about your audio visual needs or dreams. & Schedule an on-site consultation- all FREE. Community Loudspeakers- How a world class speaker company became world class pricks by selling out to the corporate man, insulting my small business and dropping my dealership status. Jeff & his team do a great job. I highly recommend Charlottesville Audio Visual for your home theater or home/office AV projects. Jeff Dixon did an excellent job of selecting and installing our new television and the related equipment. The location we wanted was a bit challenging, but Jeff found the perfect solution. He was thorough, conscientious, and efficient. We highly recommend his company. 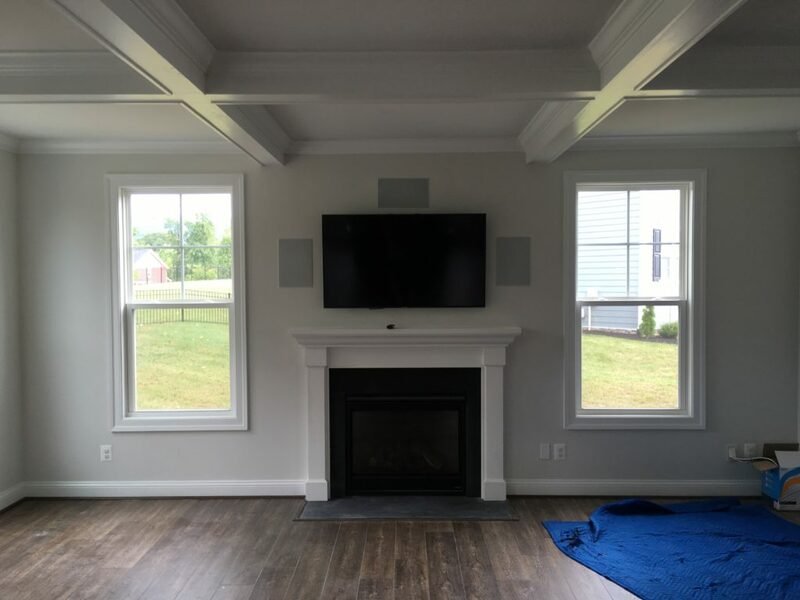 Charlottesville Audio Visual Services has done several jobs for us and we are extremely pleased with the results. 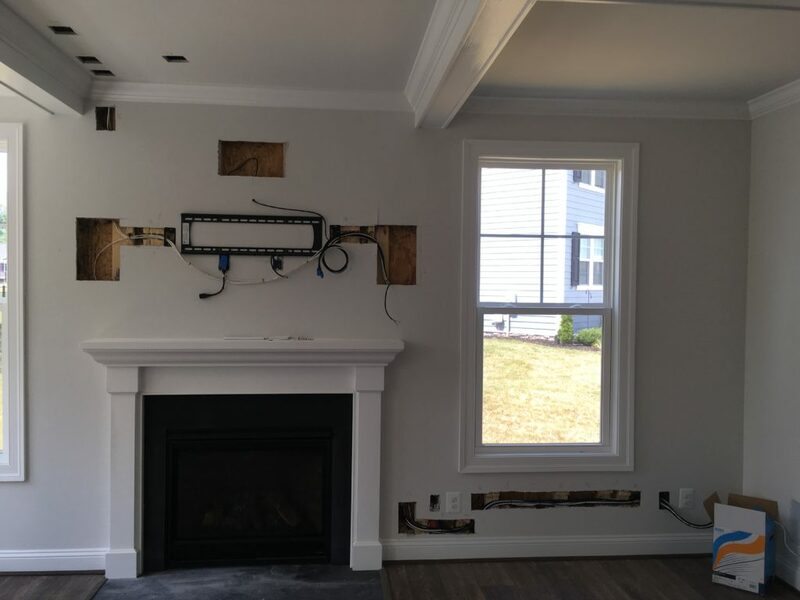 From installing a whole-house audio system, to doing a television install in a tricky place. He had great advice and solutions to meet our budget. 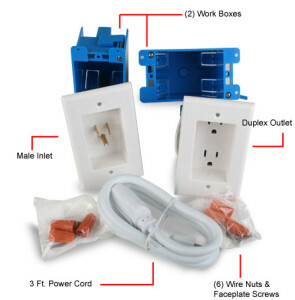 We highly recommend them and will use them again for a future installation. Jeff is a great guy to do business with. He is straightforward and honest. He gets the job done and is good about explaining what needs to be done. Highly recommend his services!! Jeff did amazing work for us. Jeff exhibits several attributes which are critical for a professional in his field. Jeff listens well...confirms what he hears...offers thoughtful alternatives to requests...really understands all aspects of AV...explains things clearly and makes sure the I understand so I'm satisfied with his services and installation AFTER he leaves...is prompt...courteous and fully reliable. He is a man of his word. We are thrilled with the work product and most importantly that we have met a reliable and dependable professional whom we will use in the future. He is an individual whom I would highly recommend.